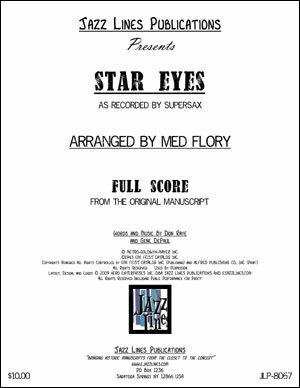 After almost forty years, these classic arrangements by Med Flory of Charlie Parker solos harmonized for five saxophones are available for students and professionals. 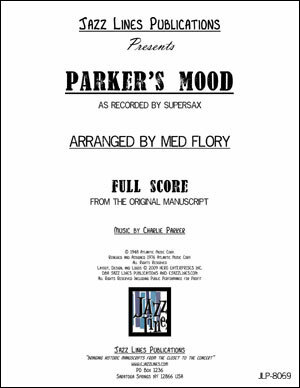 The idea for celebrating the creativity of Parker goes back to 1956. 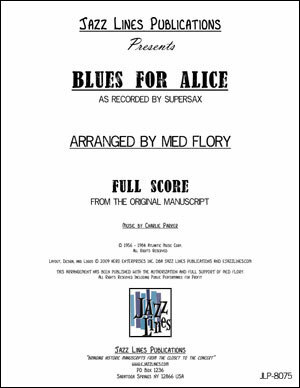 According to Flory, he began transcribing the solos from a set of records that were sold to him by the alto saxophonist Joe Maini. 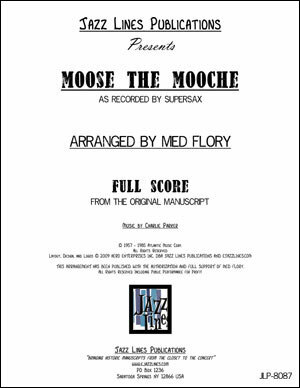 He wrote three arrangements and Flory, Maini, Joe Kennedy, Richie Kamuca and Bill Hood ran them down for fun. 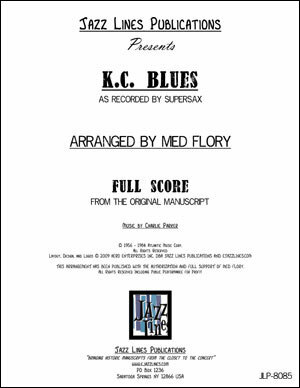 Bassist Buddy Clark heard them and suggested Flory create a whole book of such solos. 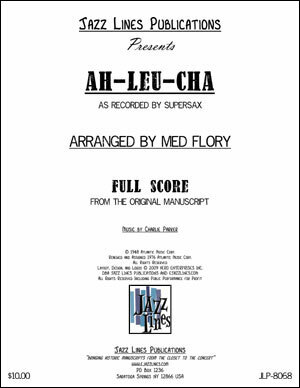 But it wasnt until the early 70s that Supersax really came together. 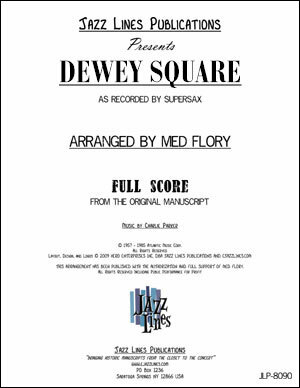 Flory and company rehearsed in his home for over a year until Florys wife finally suggested that they play at a club in Los Angeles called Dontes. The reception was phenomenal, and the group soon made its first album, Supersax Plays Bird for Capitol Records. 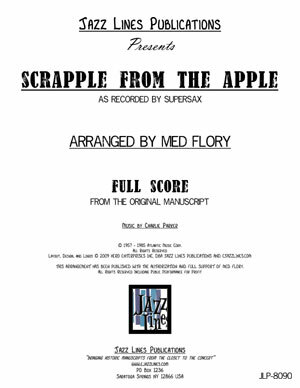 Supersax toured all over the world and has recorded nine albums to date; in 1974, one of them won a Grammy award. 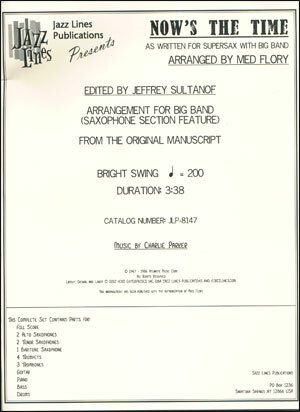 The original scores and parts (where available) were used as the main sources for these publications. Med Flory took the arrangement of Now's the Time that was recorded on the 1977 record 'Chasin' the Bird' and added brass parts so that it could be played by a big band. 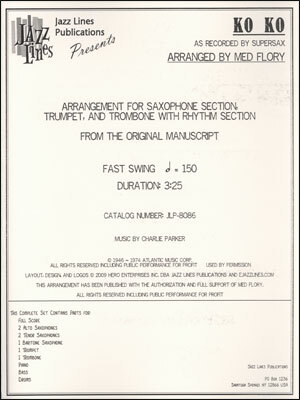 The original Supersax arrangement of Now's the Time as recorded is also available (JLP-8234). 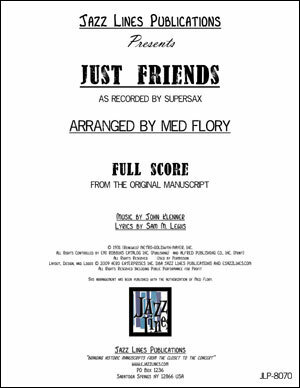 This big band version has not been recorded. 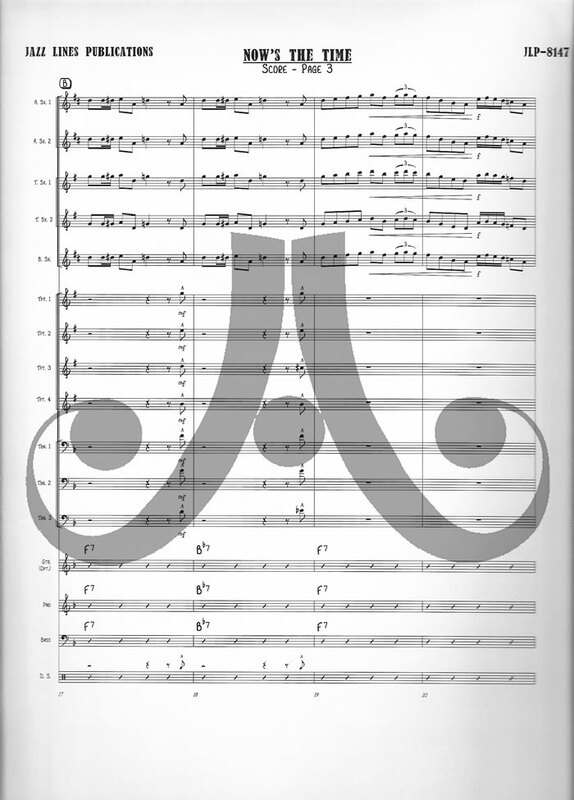 The brass parts are not difficult but trumpet 1 does go to F#6.